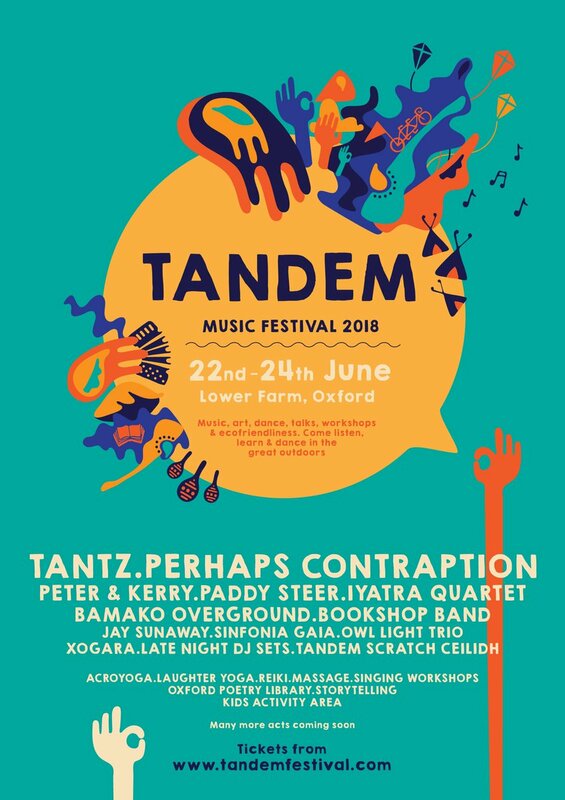 Once again, Lower Farm, Ramsden, will be hosting the eco-friendly Tandem Festival on 22 to 24 June 2018, featuring an exciting mix of music from all over the world. Last year's music featured funk and electro to solo Bach, swinging ceilidhs to late night DJs, and global folk musicians sharing the sounds of their cultures. As well as music, the festival will be packed with dance, storytelling, film, talks, crafts and spaces to be creative for all ages. There'll also be a large programme of workshops to introduce audiences to topics from laughter yoga and massage to woodwork and feminism for dads. A family friendly area will be for children of all ages to get in touch with nature through varied creative activities. Also appearing is Perhaps Contraption (part choir, part chamber orchestra, part avant-garde rock group from London). There's more to be announced, including lots of creative and inspiring workshops and a well-being area! Local communities, it's claimed, are at the heart of this festival. So for a free pair of tickets please contact the webmaster for a a chance to win a free pair of tickets to this year's Tandem festival.